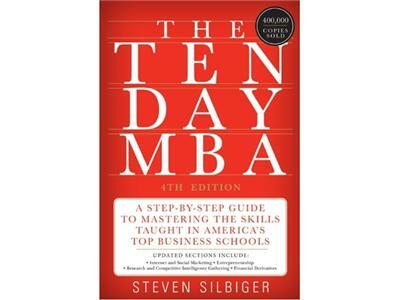 Steve's book Ten Day MBA has inspired many people to pursue their MBA dreams and educated many that could not afford it. An MBA and continuing your education is not cheap or easy. The decision is hard and a major commitment is necessary. What Ten Day MBA does is tech you pretty much everything you would learn from the best and most expensive schools, but in a much more cost/time effective book. Learn more about the book and if pursuing an MBA is the best option for you Learn more about the book and if pursuing an MBA is the best option for you and what the best schools are teaching our future leaders.